Here I am on my first run in my new hometown! I am very lucky to have a running trail around a beautiful lake by my home! No excuses not to run now! Well, it’s been a while since I’ve posted here at Down the Scale. Honestly, I have a good reason! We moved from California to Washington! We’ve gone from noisy city living to the quiet wooded suburbs. It’s a big change for the entire family. New schools for the kids. New job for the hubby. New everything for me. 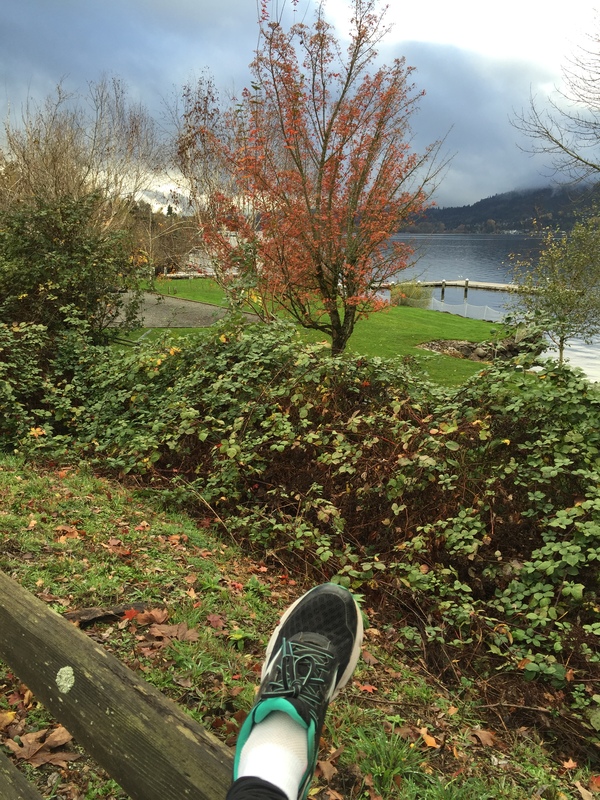 Well, today I found one familiar thing in my new life…running. Yes, I finally went out for a run this morning. Well, more like a walk/jog/run. It was slow and I’d like to blame my pace on the incredible new scenery, but in fact, it’s the first run I’ve done in a month. Yes, a month. Forgive me fellow runners, for I have sinned. Yes, I let my running slide in the midst of our move. Actually, it was easy to let everything slide during this move. Bad eating habits and little sleep become the norm during the past month. While it’s fun to have treats and drink sugared coffee drinks at times, after a while it becomes old. I never thought I would believe that, but when I think about how my body felt over the past month, I know it’s not the comfortable me. It reminds me of the old me who didn’t know how important and rewarding that eating well could be. It felt great to put my running shoes on once again! Keeping healthy, no matter what the circumstances, is so important! So today’s run was slow and involved more huffing and puffing than I’d care to admit, but it still felt good. Being outdoors, especially in a new and beautiful setting, was just what my body and soul needed. It took me away from the boxes, the struggles of new schools and routines and reminded me to take care of myself. Just 30 minutes of exercise helped me to clear my lungs, but more importantly my head.